You can find all this and more at CSNstores.com! With over 200 online stores, CSNstores has what you are looking for at fantastic prices, even offering a price match feature on many! Be certain to avail yourself to the Sales & Promotions page, Ultimate Gift Finder and Contest page, via the left sidebar links on the CSNstores.com home page! Allmodern is hosting an Unleash Your Chic Side Challenge, with a chance to win $25,000 Grand Prize and bonus of 10% off just for entering! CSNstores is graciously offering my readers a chance to win a $45 gift code to start off their spring shopping! You must be a follower of That's What She Said via Google Friend Connect (mid right sidebar) to enter. This contest is open to residents of US & Canada, 18+ and will conclude on Saturday, April 30, 2011 at midnight, EST. 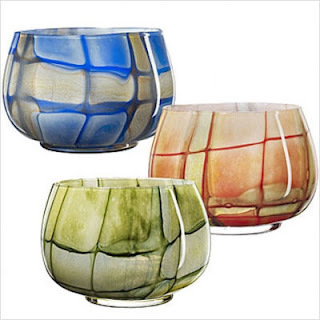 The winner will be selected randomly from all eligible entries and will be notified by email. The winner must respond within 48 hours or I'll have to move on to a runner up. Please leave your email address in your entry comments, if it is not available from your comment name, so I may contact you if you are the winner. For all bonus entries, if you are already a follower, subscriber and so on, you still qualify for those bonus entries. You must follow That's What She Said via Google Friend Connect to be eligible to enter. For mandatory entry, visit Swingsets and More.com at CSN and tell me in a comment which swingsets or outdoor play item you'd like to get for your family. * "Like" CSNstores on Facebook, leave comment here with your facebook name, 3 entries. * "Like" That's What She Said on Facebook, leave a comment here with your facebook name, 3 entries. * Follow CSN on Twitter, leave comment here with your Twitter name, 3 entries. * Follow That's What She Said (tsue1136) on Twitter, leave comment here with your Twitter name, 3 entries. * Tweet about this giveaway with direct link to it. Please include @CSNStores and @tsue1136 in your tweet, leave link to tweet in comment. 3 tweets per day. 1 entry per tweet. * Enter any of my other active giveaways, leave comment letting me know which, 5 entries per additional contest. * Share this giveaway in some fashion, whether by blogging, stumbling, posting on Facebook, technorati, posting to a giveaway linky. Anything goes. Leave a comment with link to your sharing. 5 entries per sharing method. Handy share button at bottom of post. *Subscribe to That's What She Said via email or RSS feed (mid right sidebar), leave a comment with your applicable name, 3 entries per method. * Tell me what you are looking forward to about this spring or something you are dying to shop for, 3 entries. THIS GIVEAWAY IS CLOSED. CONGRATULATIONS TO TJ AND AMY, COMMENT #588, COURTESY OF RANDOM.ORG. On behalf of CSNstores.com and That's What She Said, thank you to all entrants for following and participating. Gift certificate code sponsored by CSNstores.com. Images and information taken from CSNstores.com. I have not received any compensation for this post. The opinions above are both honest and my own. I stumbled this post to other readers! I am looking forward to flowers this spring! I am looking forward to longwalks this spring! I am looking forward to staying cool before the heat comes! I'm a gfc follower. I like the little big top sandbox. I'm looking forward to working in the yard again. I can't wait to start wearing flip flops this spring. I'm also looking forward to laying in the hammock. "Like" you on Facebook too as Georgia C. and sent FB friend reaquest. "Like" you on Facebook too as Georgia C. and sent FB friend request. Shared this giveaway on my blog facebook page too right here. I am an email subscriber. That is how I found this. I am so looking forward to sitting outside to hear the birds sing. I will most likely shop for outdoor items. I am a gfc follower. I like the little tykes- tykes town playhouse. I would LOVE to get the Little Cottage Company - VPK - Victorian Playhouse Kit with No Floor for my grand-daughters. It's a LITTLE dream cottage if my dreams came true. #1 - I'm looking forward to gardening and planting lots of BEAUTIFUL flowers. #2 - I'm looking forward to gardening and planting lots of BEAUTIFUL flowers. 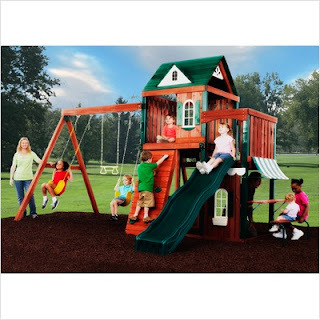 I follow via GFC (erin) I'd buy the Swing-n-Slide - PB 8288 - McKinley Wood Complete Play Set! I am dying to shop for wedge heel sandals for spring!! We'd love a Skywalker trampoline. I look forward to planting a garden. I'm looking forward to planting my little veggie garden this Spring. I like the Swing-n-Slide - PB 8237 - Charlotte Wood Complete Play Set with Free Outrigger Swing. #1 I'm CSN Stores' Facebook fan Raegen T.
#2 I'm CSN Stores' Facebook fan Raegen T.
#3 I'm CSN Stores' Facebook fan Raegen T.
#1 I'm your Facebook fan/friend Raegen T. (request sent). #2 I'm your Facebook fan/friend Raegen T. (request sent). #3 I'm your Facebook fan/friend Raegen T. (request sent). #1 CSN twitter follower @rararomp. #2 CSN twitter follower @rararomp. #3 CSN twitter follower @rararomp. #1 I'm your twitter follower @rararomp. #2 I'm your twitter follower @rararomp. #3 I'm your twitter follower @rararomp. I'm mostly looking forward to warmer weather, where I can open the windows and enjoy some time outdoors..
i follow your blog and I like the Flexible Flyer - 42546T - Play-A-Round FUN Swing Set. I would get that one!